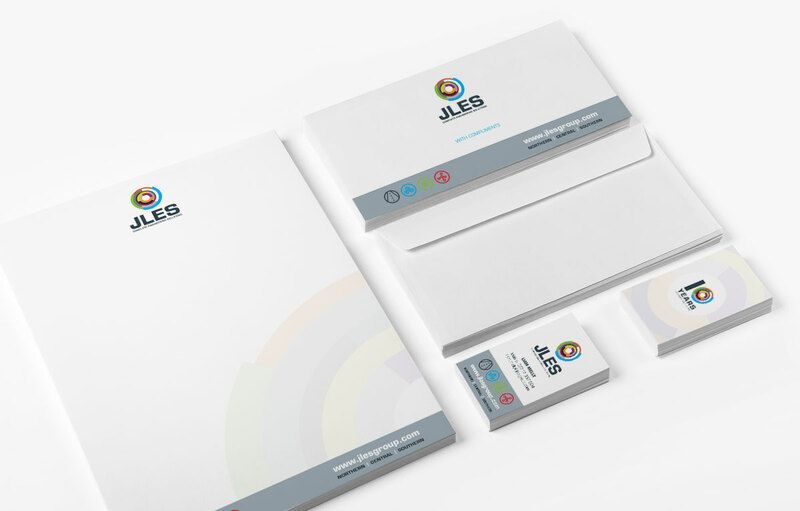 Division Design have designed and printed the new corporate stationery for JLES Group. JLES is a multi-disciplined technical engineering company, offering consultancy, project management and construction solutions to public and private sector clients across the UK. Operating from three regional offices in Manchester, Leeds and Watford the company provides specialist Adoption Management and Site Infrastructure services.